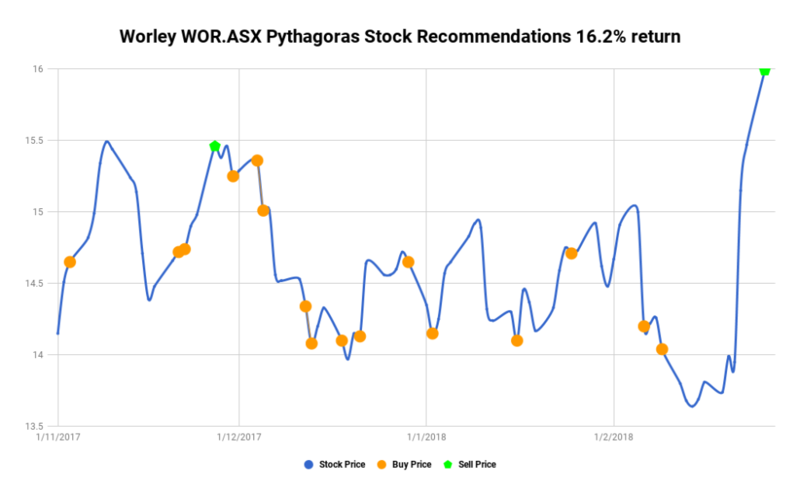 Pythagoras recommendations created a 16.2% return for our customers in the past 3 months. We recommended 16 buys which resulted in an average profit of $1.42 per buy. Over 3 months total capital gain was $22.73. 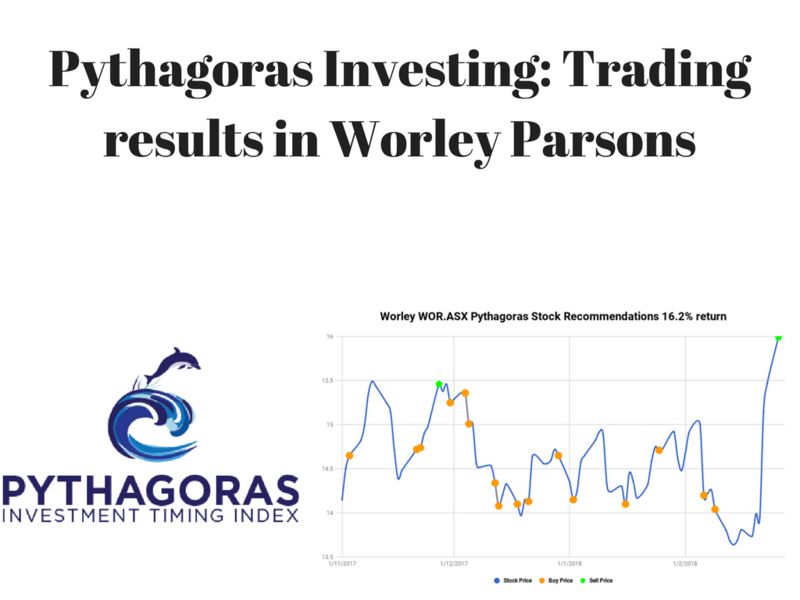 At the same time, Worley Parsons gains $1.31 or 8%. By comparison to the market, the share price or bank interest – this is a great outcome. It also provides engineering and project services for base metals, coal, chemicals, ferrous metals, alumina, aluminum, iron ore, and gas cleaning industries. In addition, the company offers infrastructure business support services for resource and urban infrastructure markets, including environmental and restoration services, development of water gathering and processing facilities, rail and port assets, and power generation and transmission. WorleyParsons Limited was founded in 1971 by a great guy called John Grill and is based in North Sydney, Australia.